Free. Donations encouraged. Registration required. 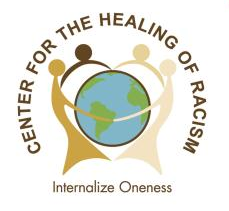 The Center for the Healing of Racism presents Dialogue: Racism, a two-day intensive workshop that educates participants about racism and facilitates the process by which individuals can begin to counter the affects of racism on their lives and become empowered to interrupt the cycle of racist attitudes. The workshop provides a safe, respectful, and loving atmosphere for individuals to learn new information, share experiences, dispel fears and guilt, and get to know each other.